Earlier this month, the BBC held its fourth School Report News Day, in which 50,000 children from more than 700 schools took part. 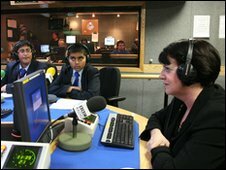 The project aims to get youngsters interested in shaping the news and consider careers in journalism. Students from across the country were involved in researching, writing and broadcasting stories on the BBC’s television channels, radio services and website. Many of the young reporters carried out interviews with high profile personalities and celebrities. Some of the more serious interviewers asked tough questions to the leaders of the main political parties and government ministers. Other reports focused on issues at a local level, including interviews with local MPs, the head of a county council, members of the fire service and police, and a soldier who has served in Iraq. The topic of some news items was commercial issues, featuring interviews with leading business people. Interviews with stars from the world of entertainment were the scoop for other schools, including two Eastenders actors, someone from Strictly Come Dancing and a top Radio 1 DJ. Others focused on sport, featuring interviews with England footballers training for the World Cup and British Olympians training for London 2010. In addition, there were interviews with student peers in Afghanistan and Haiti. 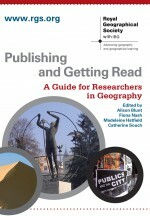 Two recent articles – Gareth Rice in Area and William Harvey in Geography Compass – have discussed the matter of interviewing elites. Perhaps academic researchers can learn something from the young people who so confidently and articulately interviewed famous and influential people. Scholars are now hyper-sensitive to issues of positionality and are expected to engage in ever-increasing levels of self-reflexivity. I feel that this extreme navel-gazing can detract from the data collection and research process. Perhaps it is time to stop engaging in deep introspection and just get on with interviewing, just like the gung-ho students have done. This entry was posted in Uncategorized and tagged BBC, broadcasting, elite, interviewing, journalism, media, positionality, reflexivity, Social Geography on March 31, 2010 by jclunn.